The world's largest solar cell maker was taken by surprise when some of its customers decided to delay purchases. Q-Cells cut sales and production outlook for 2008 and 2009. Q-Cells, the world's largest solar cell maker, is cutting 2008 and 2009 sales and its production forecast after expressing a fairly sunny outlook just a month earlier. The weak economy and market demand prompted a number of its customers to delay taking delivery of Q-Cells' products until next year, the German company said Tuesday. Q-Cells said its undisclosed customers gave notices only in recent days, and it wasn't able to find other customers to buy the now unsold cells quickly. The company is now revising a forecast it issued last month, when it announced its third-quarter earnings. Q-Cells said it expects to generate €1.23 billion ($1.59 billion) in sales for 2008, down from the previous forecast of €1.35 billion ($1.74 billion). Net income for the year will likely reach €185 million ($238.6 million) instead of €215 million ($227.29 million). 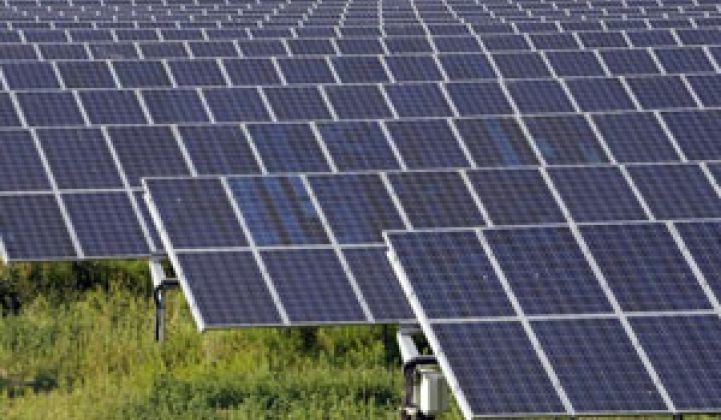 The company expects to produce a total of 570 megawatts of solar cells in 2008. It previously had anticipated 585 megawatts. Next year doesn't look rosy either, at least for early 2009, the company said. Q-Cells now says its 2009 sales could range between €1.75 billion ($2.26 billion) and €2.25 billion ($2.9 billion). That would mean a roughly 42 percent revenue growth at least from 2008. The company previously expected to generate around € 2.25 billion ($2.9 billion). Its solar cell production should reach between 800 megawatts and 1 gigawatt next year. Last month, it had forecast at least 1 gigawatt for 2009. Q-Cells' shares on the Frankfurt Stock Exchange fell nearly 22 percent to reach €21.36 per share during Tuesday. Q-Cells joins a growing number of key solar players worldwide feeling the impact of the financial market turmoil. From makers of solar cell materials to solar panels (which consist of solar cells), companies such as ReneSola and German solar panel maker Solon also cut their forecasts last month (see ReneSola's Profit Up 153.5%, Stock Tumbles on Weak Outlook and First Solar Profit Up 54%, Credit Crunch Could Impact Biz and Weak Euro Prompts Suntech to Slash Sales). But another German firm, SolarWorld, which makes solar panels and solar energy systems, told Reuters its outlook remains unchanged. SolarWorld expects its 2009 sales and profit to grow 25 percent to 30 percent. Q-Cells said it will focus on expanding its factories for making crystalline solar cells, the most common type of cells used to make panels today. The company also will focus on thin-film technologies through its joint ventures and other investments in various companies, including Solibro, Calyxo, Sontor and Flexcell. Aside from the faltering economy and weaker market demand, solar companies will have to deal with declining solar panel prices next year. Some solar companies and analysts expect the prices for polysilicon, the main ingredient for most solar panels produced today, to fall dramatically starting next year (see Polysilicon Prices Head for Steep Fall). That trend would lead to cheaper and possibly oversupply of panels, cutting into profits for some companies. The CEO of Suntech Holdings, the largest solar panel maker in the world, told Reuters Monday that the company expects the 2009 panel prices to fall by 25 percent to 30 percent from the third quarter of 2008.